Looking for a reliable and professional car wash service? 5D Solutions provides quality manual car wash services. We provide quality and thorough cleaning services that is guaranteed to get your car sparkling like new again. In addition, we also provide car grooming services and car polishing services to get your car that showroom shine. Come down to our showroom to get your car washed today, we are confident you will not be disappointed. Want to experience first-hand the work we can do for your car? Just come down to our workshop at iSPACE and we would be glad to get your car cleaned nicely for you. Stanley and his team really took good care of my car. They cleaned the exterior and interior really well and now my car looks like new. I also coated my car with the Ceramic Pro and its really easy to clean and maintain now. I washed and polished my car my 5D Solutions and I think they did a really great job. The interior of the car is really clean and the leather smells like new again. Amazing experience at 5D. The team headed by Stanley did a great job to bring back the showroom shine to my one year old car which has been weather stained; scratched and stained with tree sap. Highly recommended especially for those living in the west side of Singapore. Our staff are trained to use the right technique and equipment so that there are now swirl marks or scratches on your car during the cleaning process. 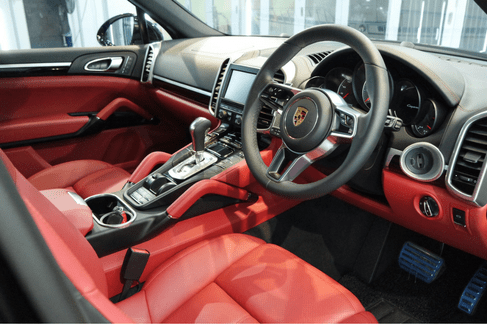 Using specialized equipment like clay bars and quality polishing pads, you can be sure that your car will get the very best treatment and wash in Singapore. For quality car washing services, we have them at one of the lowest prices in Singapore. We also provide foam car wash and clay bar decontamination! Looking to get your car polished and groomed? We provide professional car grooming services that can get your car looking like brand new. The grooming services comprise exterior and interior cleaning. At 5D Solutions, we use the world’s leading car paint protection from KubeBond. It provides exceptional protection and reduces the chances of water marks and stains. The car paint protection also makes cleaning your car easier! Make a booking with us to reduce your waiting time or just drop by our office to do your car washing and we will get it done in a jiffy!